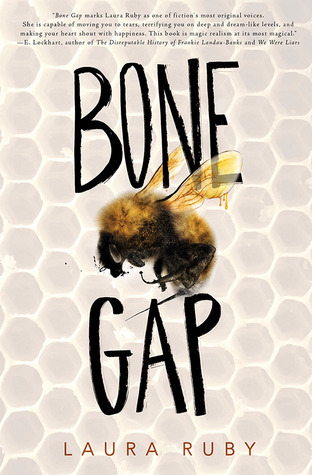 Bone Gap by Laura Ruby won the 2016 Printz Award (which is given to the "best book written for teens, based entirely on its literary merit"). What intrigued me was the fact that it is loosely based off of the Persephone and Hades' Greek myth. What's the book about, you ask? Well, when Roza, one of the most beautiful and charming girls Bone Gap (the name of the town the novel takes place in) has ever seen, disappears, everyone dismisses it, saying that she just left. But Finn (nicknamed "Sidetrack", "Moonface", and "Pretty Boy") claims that Roza was kidnapped by a man that "moves like the corn". But no one believes Finn (not even his brother Sean) because he can't quite recall the man's face. He obsesses about it until Petey comes along. Petey, the girl who looks like the bees she keeps. Petey, the one who's more vinegar than honey. Petey, the only girl Finn has ever noticed. All right, so I lived in a small town for most of my life. The days were as slow as globs of honey, as southern as sweet tea, and as small as one can stand. Now, I should mention that a part of me hated it. I couldn't wait to get away from all that "talk", the lack of opportunity, and the small minded beliefs that crop up quite frequently in places like this. However, it had one thing going for it. Everyone treated you like kin (ahem, family). This book celebrates people's differences. In fact, two of the main characters, Petey and Finn, are especially odd. "Explain a moment that changed your worldview, written in recipe format." 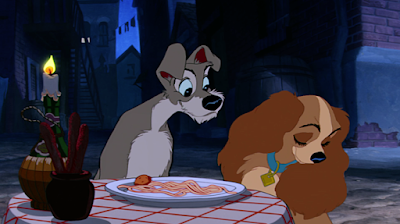 "Tell us how you feel about Thursday — is it better or worse than Tuesday?" What's brilliant about this novel is that it lets the reader know it's okay to be weird. The thing about Bone Gap is that you never know if what you're reading is a dream, magic, or reality. 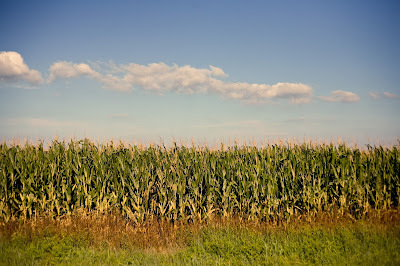 I mean, after reading about the corn speaking to people (I know, it sounds freaky and unbelievable but somehow it works) or two characters riding a miraculous horse, I could seriously see these things happening. I know, I know! It sounds unbelievable, but you just have to read the book to understand what I mean. Both main romances in the novel were raw and real. Relationships are difficult, we get that. And sometimes we fail the ones we love. But there's always that magic that drags us back, that helps us forgive. That complete and total understanding of another person, without all the outside perceptions and stereotypes, is what is truly important. The first couple we see is Sean and Roza. They meet each other after Finn finds Roza in the brothers' barn. She's battered and bruised and broken, and at first she's weary of Sean. Something's happened in her past that makes her shy away from a man's touch. But after she gets to know him (seeing him watch not her face, nor her body, but her lips), she realizes he's listening to her rather than just gawking at her beauty. But Finn doesn't see Petey the same way everyone else does. He sees her as beautiful, mesmerizing, and magical. And Petey doesn't see Finn as just a pretty face. He's so much more. He's creative, poetic, and funny. Bone Gap made me laugh, cry, cringe, and sigh. If you're looking for something that crosses genres and pushes the boundaries of reality, then pick Bone Gap up at your local library today. Because even overlooking the book's literary merit and fantastic fantasy elements, the themes can't be any more real. 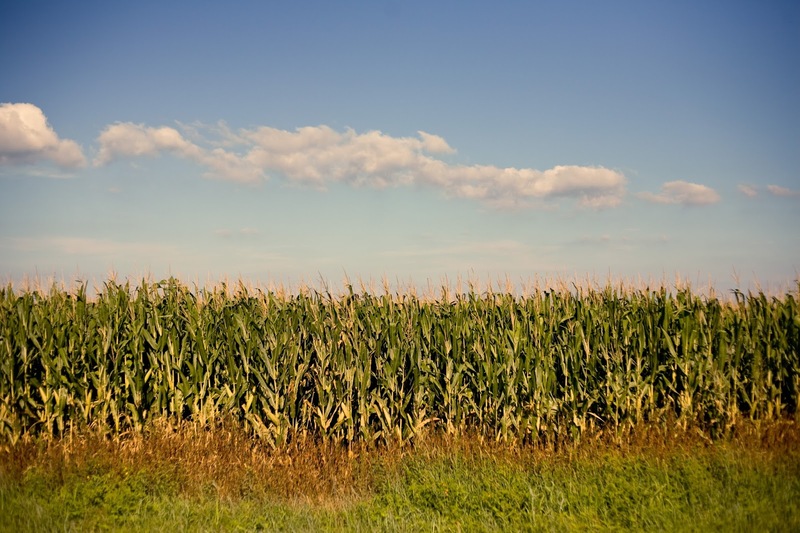 The novel will leave you with a resounding message that sticks with you for years to come. What book are you currently reading? Does Bone Gap sound interesting to you?